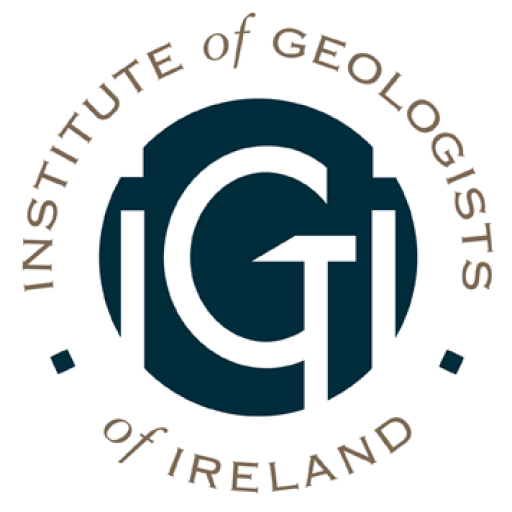 The Institute of Geologists of Ireland hosted this seminar, the first of its kind in Ireland, which featured public relations professionals and geoscientists from the public, private and academic sectors. 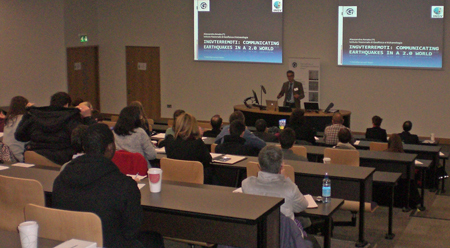 It provided expert guidance and case studies from Ireland, the UK, Italy and the Mid-Atlantic of the successes and perils of communicating geoscience to the public. The content is relevant to all geoscientists working on the island and beyond. Dr Alessandro Amato, Director of the Italian National Earthquake Centre before and after the L’Aquila earthquake. Conall McDevitt, Associate partner Hume Brophy, former member of the NI Assembly, SDLP Director of Communications and advisor to John Hume during NI peace process. Sonya Cassidy, Director Cassidy PR, award-wining practitioner with 20 years experience, clients include: BGS, Geological Society of London, GSNI, Dalradian Resources. Professor Andy Wheeler, Chair of Geology at University College Cork and marine geologist. Séan Finlay, Geoscience Ireland, Director – Business Development. Mairéad Glennon, Geological Survey of Ireland, award-winning Tellus Border Project. Reserve and Resource Statements- View from a Junior Co.